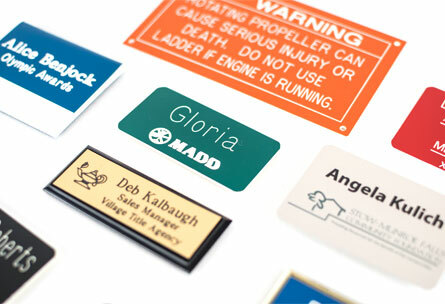 Give every face a name in your organization, with an affordable name badge. 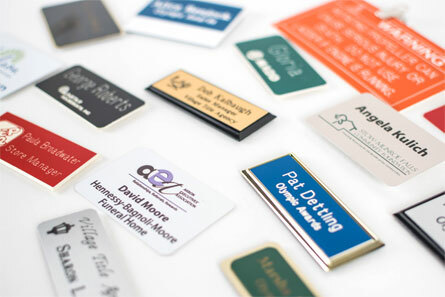 Customize your badges with logos and colors that perfectly reflect your business, school, organization or church. A great way to help your business create a more personal relationship with your customers. Manufactured in-house; any size, with or without frames and several different attachments. Corridor, desk, wall signs, and holders available.